The cold and gloomy weather is a definite mood-killer for many of us, and the lack of sunshine can really affect our energy and concentration levels. 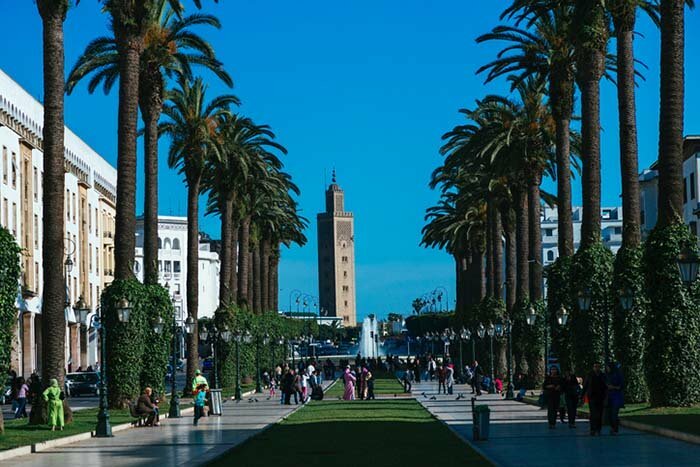 If you’re in the mood to study abroad in a hot country, you may like to consider Morocco. One of the world’s most attractive tourist destinations, Morocco not only boasts some of the world’s most beautiful cultural attractions; it’s also a great place to study, with its relatively affordable living expenses and host of international study opportunities, among many other factors. In the QS Arab Region University Rankings 2019, four of the region’s top 100 are based in Morocco - read on for a brief insight of each. Ah, the alpine town of Ifrane – admittedly not a very warm study abroad destination to open our list (particularly around this time of year), but certainly not one to miss out! 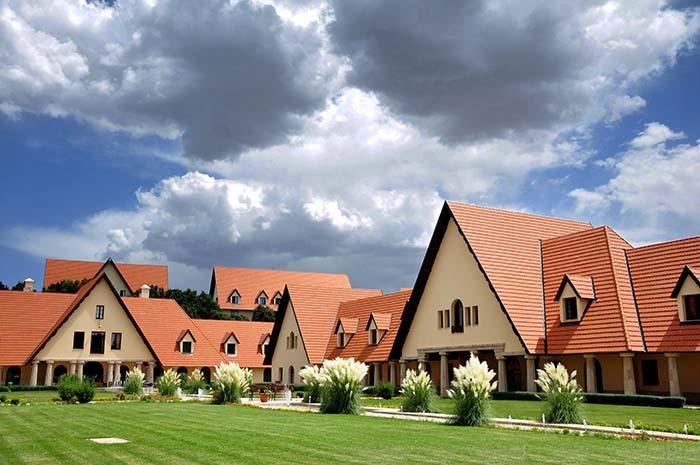 Situated within Morocco’s Middle Atlas Mountains, Ifrane is also home to the kingdom’s top university; the Al Akhawayn University, which also ranks 46th in the Arab region this year. This public, non-profit institution has a curriculum based on the American liberal arts system – making it an ideal choice for English-speaking international students. Al Akhawayn University alumni have successfully gone on to secure roles in sectors such as international business, diplomacy, and non-profit organizations, among many others. Although daytime temperatures are quite low at the moment, they’re expected to rise between 20°C (68°F) and 35°C (95°F) starting in mid-spring and all the way through till the summer months. Founded in 1957, Mohamed V University in Rabat, Morocco’s capital, was formed through the merger of two separate institutions: Mohammed V University at Agdal and Mohammed V University at Souissi. It offers a selection of both undergraduate and postgraduate programs, and currently ranks in the 51-60 range in the Arab region. As the capital of Morocco, Rabat undoubtedly combines all the apparent features of a typical capital city: work and business opportunities are at their height, prices are typically soaring, and it’s a city that never sleeps. But, as the heart of the North African kingdom, one thing sets it apart from most European capital cities – its generally sunny climate. You’ll be happy to know that the seasons here are warm and cheery for most of the year, apart from the occasional cloud and rain, and consistently low temperatures at night, particularly in the winter months. 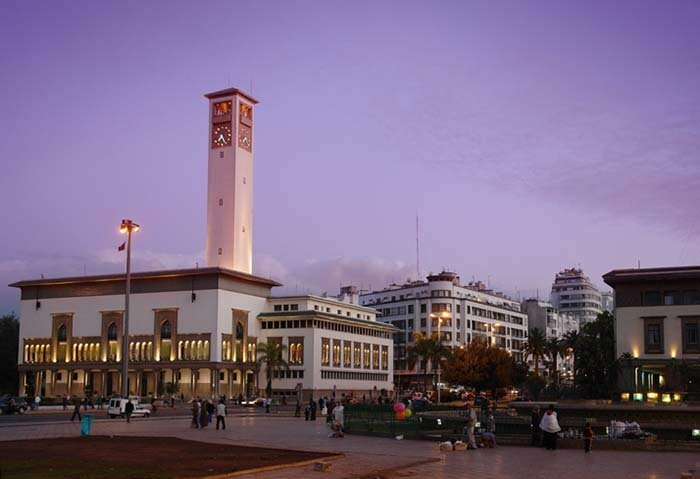 Based in Morocco’s largest city, Casablanca, Hassan II University is a relatively new institution, having been officially established in 1975. However, following a merger between two Hassan II universities in 2014, Mohammedia and Casablanca, the university considered itself a newly-created institution. Offering a selection of courses in a variety of disciplines, the Hassan II University is home to 123 laboratories, 10 research centers, two technological platforms, an observatory, and 10 doctoral study centers providing 46 doctoral courses. It’s important to note that, as is the case in neighboring Francophone countries, the main languages of instruction at this university are Arabic and French; with technical and scientific courses taught solely in French. Because of its location in the central-western part of the kingdom bordering the Atlantic Ocean, Casablanca can get quite windy and rainy during the winter months, though some days are rather warm and sunny during daylight hours; and of course, summers spent here are the best! Cadi Ayyad University is a new entrant to this year’s Arab region rankings, taking a spot within the 91-100 range. Situated in Marrakech, this public university was established in 1973, and is one of the largest in Morocco, with a reported estimate of 102,000 students enrolled. It currently has 13 branches of study, most of which are in the field of science, including biology, physics, and geology. 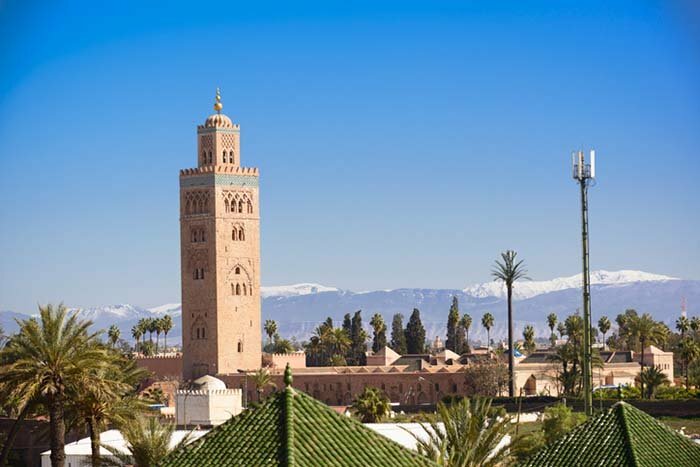 Marrakech is Morocco’s former imperial city, and is famed for its swarm of mosques, palaces and gardens, as well as its medieval city center (the Medina), which is home to thriving souks (marketplaces) and various historical sites of attraction. True to the vibrant and colorful energy it exudes, Marrakech is typically warm and sunny all-year-round, with temperatures at around 21°C at this time of year, and soaring during the summer months - the heat may even be too much for some! In comparison to other Arab countries, Morocco – like other North African nations such as Tunisia and Algeria – encompasses a comfortable mix of eastern and western cultures. Most Moroccans are either bilingual or multilingual; though the main languages of communication here are Colloquial Moroccan Arabic (Darija), Amazigh (Berber) and French, Spanish and English speakers are also very common – making it an ideal and easy environment for adventurous student visitors. With regards to living expenses, they’re relatively affordable in Morocco, particularly if you’re traveling from Europe. A meal at an inexpensive restaurant will typically cost you 30.00 Moroccan Dirhams (US$3.13), and in addition to traditional Moroccan dishes and local street bites, you’ll also come across typically-western food chain restaurants, such as McDonalds and KFC. When it comes to rent, costs for a one-bedroom apartment vary between 1,934.17 MAD (US$202.66) and 4,562.50 MAD (US$478.06) per month, depending on whether you’re renting inside or outside the city center. Tuition fees also tend to vary depending on where you choose to study, with tuition at Al Akhawayn University in Ifrane currently costing 3,045 MDH (US$318.35) for undergraduate international students, and 3,780 MDH (US$395.19) for postgraduates. Tuition is calculated based on credits taken, which are usually 15 – 17 credits per undergraduate course, and 12 credits per postgraduate course. No matter what city you’re in, there’s so much to enjoy in Morocco, and the locals are generally extremely warm, hospitable and friendly. A visit to a traditional local bathhouse (Hammam) here will cost just 10 to 20 MDH (US$1.04 – US$2.09), and transport is also readily available and generally affordable. Because of the country’s background in tourism, Moroccans have plenty of experience with dealing and interacting with foreigners. Add to that Morocco’s multicultural history, and you’ll get a fine blend of multilingualism and a pretty relaxed outlook at others’ cultural differences and norms. Of course, since the country is Muslim-majority, there will undoubtedly be a few things to bear in mind in order to stay respectful to your host country while you study abroad. For example, it’s important to remember to remove your shoes upon entering someone’s home, and to try to be discrete about eating in daylight hours during the holy month of Ramadhan, when everybody else is expected to fast until sunset. You may also want to take note of Friday, as this is considered the Muslim holy day of rest, when most shops close down at around lunchtime. Depending on what city you’re in, it’s usually best to have company with you, particularly when you’re out and about after it gets dark. Cities like Casablanca are notorious for moderate to high crime rates, so it’s important to make sure you’re wary and never look like you’re lost or don’t know what you’re doing! You don’t want to attract the wrong type of attention, and it’s easy to get scammed or taken advantage of if you’re clueless or inexperienced. In pretty much all major Moroccan cities, haggling is a way of life, and you’ll find that in places like the Medina in Marrakech, this is even more evident. Some souk merchants may even come across a little too demanding and forceful, which can be intimidating. But don’t let it put you off – you’ll soon get used to it, and quickly learn to either smile and walk away, or haggle back! You could be on your way home with an impressively good bargain.